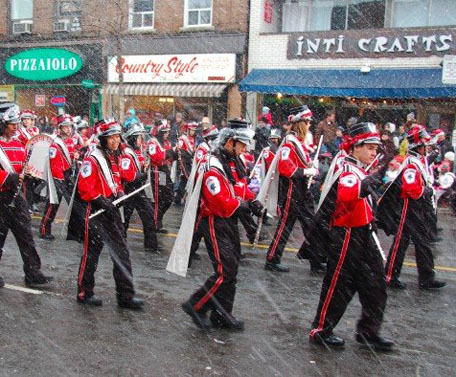 Today’s version of Citizen X’s old high school band in the 2008 Toronto Santa Claus Parade. He says he remembers another such parade in the 1960s when the weather was just as bad. Every Remembrance Day for a while now I’ve tried to find some particular music on You Tube — without success. It all goes back to when I played in my high school marching band in Toronto, in the first half of the 1960s. 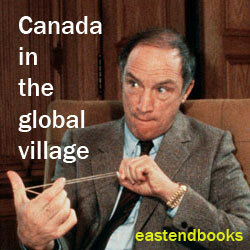 The folkways of the British empire still weighed more heavily on the city then. And I went to a high school that placed a lot of stress on such things. 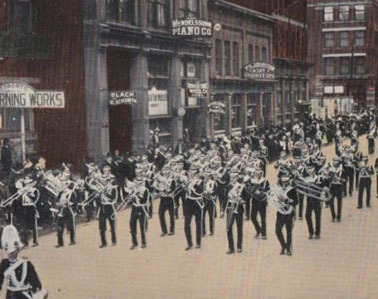 Band of the Governor General’s Body Guard militia regiment in early 20th century Toronto. The old militia regiments were once an important part of the city’s popular culture. This is from a postcard of the day — now available for sale on ebay! As part of our assignment we had to play “O Valiant Hearts” — still, I think, the most poignant “ hymn remembering the fallen of the First World War.” At a rehearsal a few days before we were tutored in how to play it properly, by some grizzled old salt with a military moustache and a John le Carré trench coat. 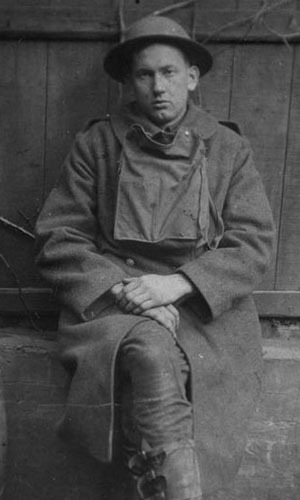 Harold Innis, who would later become the first Canadian-born chairman of the Department of Political Economy at the University of Toronto, with the Fourth Battery of the Canadian Expeditionary Force in Western Europe during the First World War, 1916. This is a very simple trick of course, that even indifferent high-school students were capable of mastering. To my mind it nonetheless gives a stirring but still dignified and respectful lift to a wonderful piece of music. Yet I have so far been unable to find a version of “O Valiant Hearts” on You Tube that includes this trick, after several Remembrance Days of trying. I am starting to wonder if the stirring bass drum thump, just before “your memory hallowed in the land you loved,” may be some uniquely Toronto variation on the theme — in a city that lost so much in the First World War. 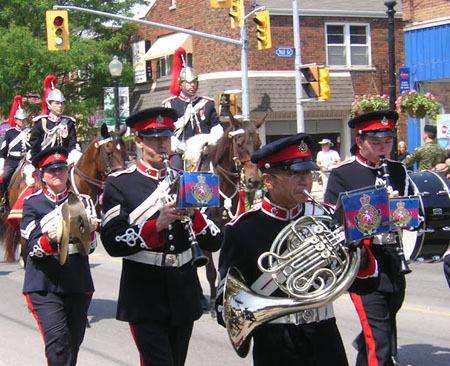 Band of the Governor General’s Horse Guard on parade in the Town of Whitchurch-Stoufville, just north of the present-day City Toronto, June 2012. As an economy measure in the Depression-era 1930s the old Toronto regiment of the Governor General’s Body Guard was merged with the old Toronto regiment known as the Mississauga Horse, to form what remains the Governor General’s Horse Guard today. There are many other things worth remembering on Remembrance Day, of course. But my own adventures today seem to have finally landed on the appalling grief of the couple at 113 Lanford Avenue in Toronto — culminating with the death of their third son in the fall of 1918.